God's promises are for every Christian. If we know Jesus, then we have God's promises. But living a life that is defined by God's promises takes effort and perseverance. 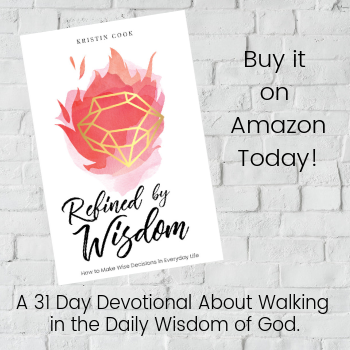 Learn how to live a life defined by God's promises today. When I read the Bible, there are some things that stick out to me as "the big topics" and then other details that I skip right over because they seem insignificant. But sometimes the small things can speak to us more than we expected, and that's exactly what happened to me when a sweet friend pointed out a verse about God's promises that I would have just skipped right over; a verse that tells us more about what should define us as believers. Growing up, I was always taught that God's promises were for me and for all his children. I was taught to take hold of the promises for myself. I was taught to remember those promises when times were tough. And all of this was true, and I'm thankful that I was taught that concept. But what I didn't ever realize, was that as a Christian, I was also someone who possessed a treasure that needed to be tended to. I didn't understand that what defined me more than anything was the fact that I possessed these promises- that they were mine. Honestly, Hebrews 7 (the chapter we were studying together) isn't about Abraham or being a "keeper of the promises". The chapter is actually about a priest in the Old Testament that pointed to Jesus in the New Testament. And while that's all very interesting, like I said, this is more about a very minor detail that a friend pointed out to me. It's a side point. But I think it's one that needs highlighting. In Hebrews 7:6, the author mentions Abraham and names him "the one who had the promises". Easy to skip over, right? I certainly would have. But my friend pointed out to me that this descriptor of Abraham was such a special one. Abraham was many things. He was a Hebrew, he was the father of many nations. He was a husband, a dad, a leader, and a very important figure to the Jewish people. But the author (and more importantly, God) chose to label Abraham as "the one who had the promises". In other words, he was the keeper of God's promises. He possessed them. They were his. He was defined by God and the promises that God had made to him. That got me thinking: what do people know me by? How would people describe me? Sure, I'm a woman. I'm a wife. I'm a daughter. I'm a sister, niece, cousin, friend, and dog-mom. But none of those things matter nearly as much as the truth that I have a special treasure that I can share with the world. And at the end of the day, I want people to know me as a faithful keeper of God's promises more than anything else. My friend and I were so struck by this! 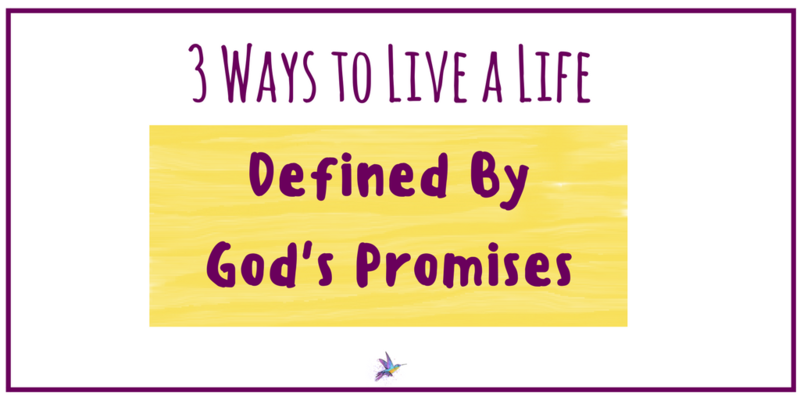 Would people ever look at our lives and define us as "those who hold God's promises"? Are we faithful keepers of the promise? Do we live them out in our daily lives? Plus, what does it even mean to be a keeper of God's promises, and how can we succeed at doing that? Keep reading to find out. 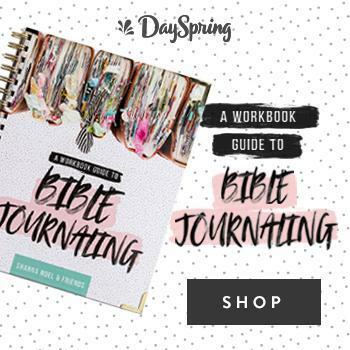 In order to live a life in which we are defined by the promises of God, we need to familiarize ourselves with God's truths: His saving grace, His commandments, His Protection, and His gifts. He promises us so many things in His word, but if we don't even know what His word says about us and about what He promises us, then how can we live our lives in light of those promises? Staying in God's word and increasing our biblical knowledge is critical to living a life in which we can truly say that we have been faithful "keepers of the promises". What do people see when they look at our lives? Do they see love, joy, peace, patience, and self-control? Or do they see frown lines, worry, anger, and lots of stress? We all go through hard things, but we can always choose to live with joy and gladness because of the promise of salvation and love we have received from God. Of course it won't be easy. But friends, a faithful keeper of the promises trusts God even when things are hard. Abraham, as "the one who had the promises", was not perfect. He struggled with sin and he made mistakes. But he persevered, held on to what he knew to be true, and lived out the truths of God despite life's uncertainty. Being a keeper of the promises or "the one who has the promises" means that we have a hope that should not be kept to ourselves. Part of possessing the promises of God and living a life defined by those promises means sharing them with others. We have something special- incredible, really- and our heart should be that others become "keepers of the promises" too. We should want everyone we know to live a life defined by God's promises and to join us as "the one's who have the promises". To accomplish this, we need to share what we've been given. We can't be stingy, nor should we want to be. Just like Abraham possessed God's promises in the Old Testament, I am a keeper of God's promises. All of us who are in Christ are "the ones who have the promises". Know them, grab onto them, live them out, and share them with others. 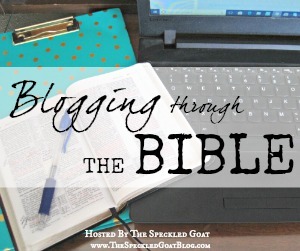 This post is part of the Blogging Through the Bible series and linkup, which you can find over at The Speckled Goat. 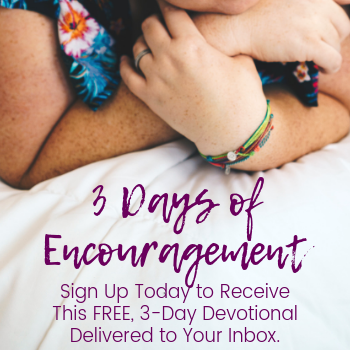 I love being a part of this and would encourage you to check it out!